Trainer Paul Nicholls has confirmed that his two superstar chasers will meet at Kempton on St Stephen’s Day. KAUTO STAR WILL have the opportunity to topple Long Run and reclaim his King George VI crown at Kempton this Christmas. Clive Smith’s superstar chaser won the St Stephen’s Day showpiece on four successive occasions from 2006 to 2009 but finished 11 lengths behind Long Run in third when this year’s postponed renewal was eventually run in January. Although there had been some speculation that Kauto would be retired at the beginning of this season, the 11-year-old stunned punters when he romped to an eight-length victory in the Betfair Chase at Haydock last month. Trainer Paul Nicholls confirmed this afternoon that Kauto would go in the King George, as would Clive Smith’s two-time Champion Chase winner Master Minded. Ruby Walsh will once again partner Kauto Star while Daryl Jacob rides Master Minded. On Friday, Nicholls announced that another Ditcheat legend, 2008 Gold Cup winner Denman, had been forced into retirement by an injury. That sad news, the trainer said, tilted both himself and Smith in favour of allowing the aging Kauto to challenge for further honours while he is still capable of doing so. We saw with Tataniano and Denman recently how the smallest of injuries can end seasons and careers, and that brought into sharp focus that sometimes you have to seize the moment with racehorses. “And Clive and I have always campaigned Kauto sportingly and adventurously, none more so than when he won the Old Roan, the Betfair Chase, the Tingle Creek and the King George in just over two months in 2006. Last month, Nicholls described Kauto’s win at Haydock as “the best day I’ve ever had”, but the trainer warned today that it would be difficult to replicate that sort of performance. Obviously, whenever you train a horse to be at his peak for one race – and we had Kauto at 100pc in the Betfair Chase – there is always the possibility of them underperforming next time. You simply don’t know until you get them back on the track. “All I can tell you is that he that he has come out of his fourth Betfair Chase win remarkably well. Email “Nicholls: Kauto and Master Minded set for King George showdown”. 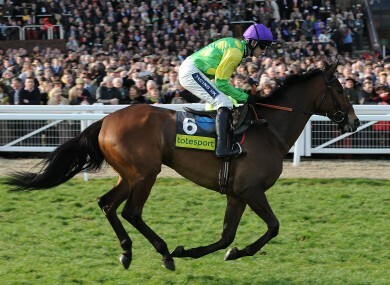 Feedback on “Nicholls: Kauto and Master Minded set for King George showdown”.